Yesterday., my sis and I decided to watch a movie at GSC Ipoh as I have a complimentary ticket to watch a movie with asterisk sign for my birthday month. You could call it one of the most deserted cinema in Ipoh because there were hardly ever humans who watched movies there. Everyone would be at TGV for movies although the ticket pricing were more expensive. So we watched Ah Beng and it was a hilarious movie with some touching scenes. For local production standards, it was not bad. 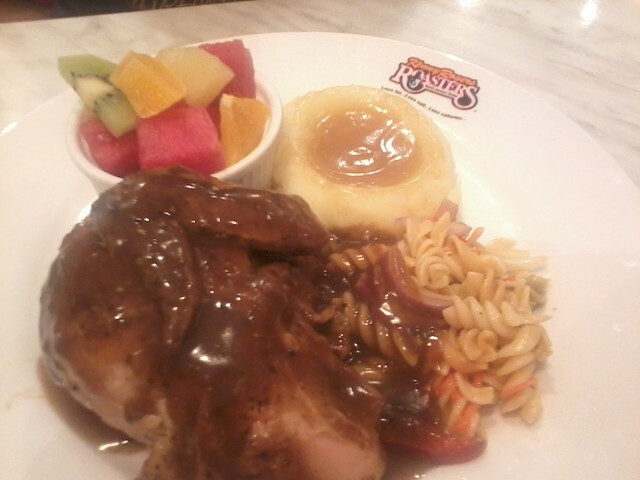 After the movie time, I felt like eating at Kenny Rogers and since there was no special occasion to celebrate, my sis said why don't we celebrate on me going to a new department on Wednesday? I thought it was a pretty good suggestion as it would make me feel less guilty for spending much on lunch. 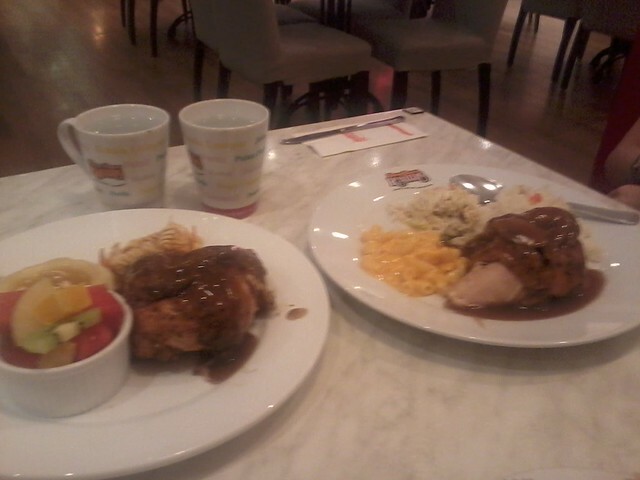 We browsed through the menu and finally decided on the 1/4 chicken with 3 side dishes meal. 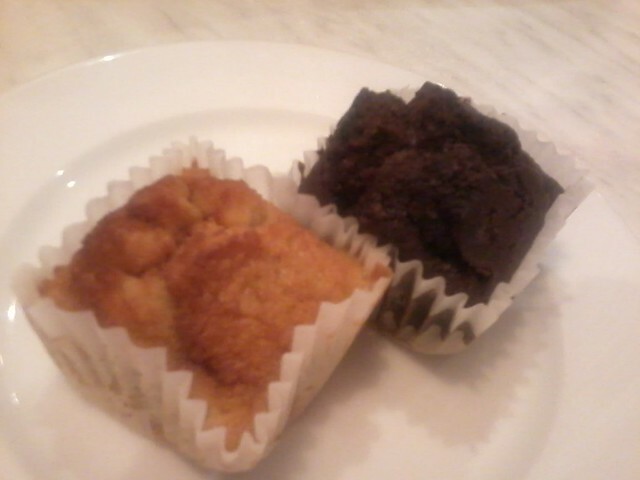 The muffins that came with them. Vanilla and chocolate. My choices of side dishes: Rice, Macaroni and cheese and coleslaw. I chose original flavour for the chicken gravy. It is the best! My sis' selection of side dishes were pasta salad, fruits and mashed potatoes. The chicken gravy was black pepper-flavoured. We had 6 different types of side dishes so we shared all. 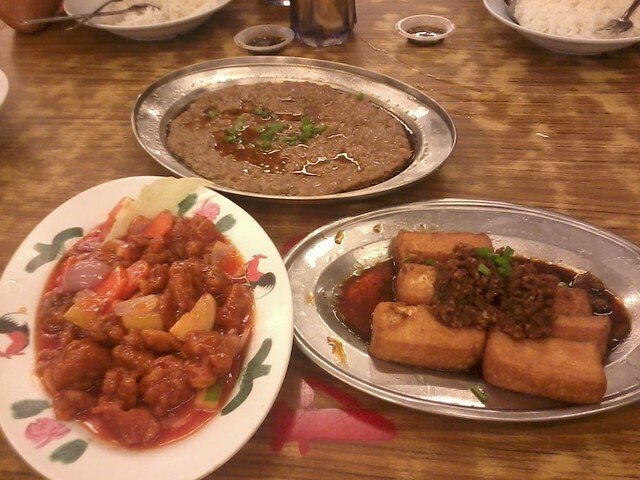 Instead of getting only three side dishes, we each had six! Initially the plan was to go for shoe shopping at Ipoh Garden South right after that but some technical problem arose and we had to wait for dad to pick us up. What a black Monday! So I will just have to postpone the trip to the shoe shops today. While waiting for dad to come, we went to Popular to browse some books. 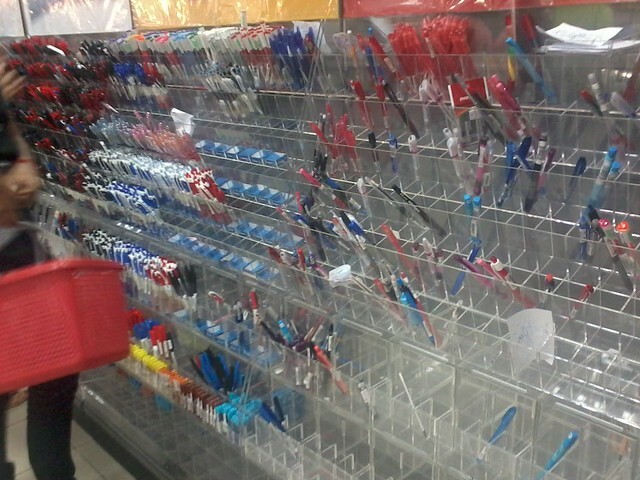 I was shocked to see this section for pens were almost empty! Where have they all gone? The BB1M vouchers must be the culprit. See the comparison with the other sections. Those looked more normal. 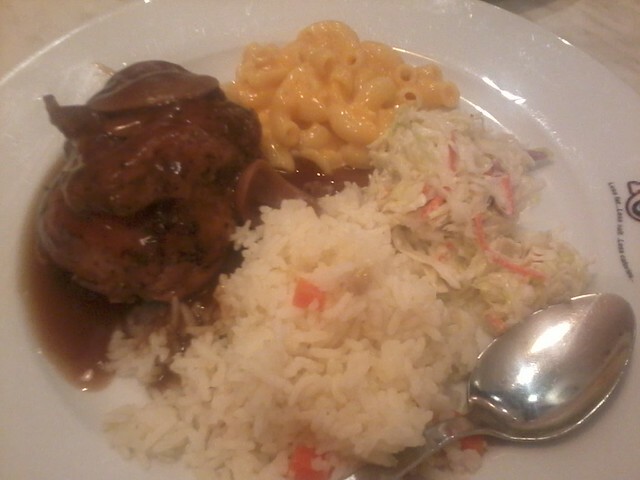 At night, we had a grand dinner again, this time at Black Canyon, Kinta City. 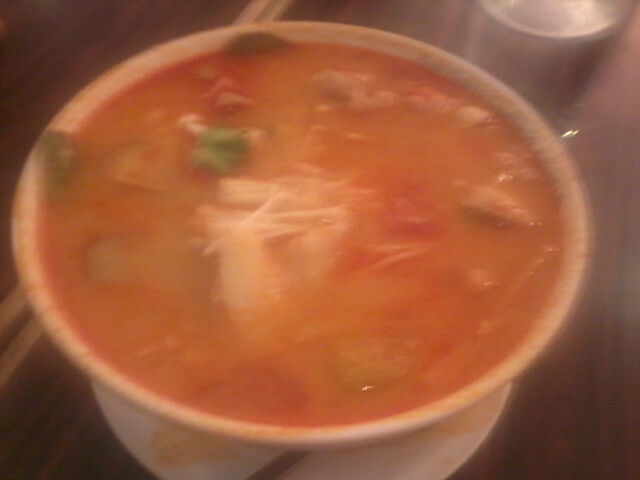 I was craving for the Fusili Chicken Tomyam and it was really kind of dad to take me there. Oops, sorry for the blurry pic! It didn't look like that when I snapped. Then again, I should have checked the result of the picture to see if I should snap another one. 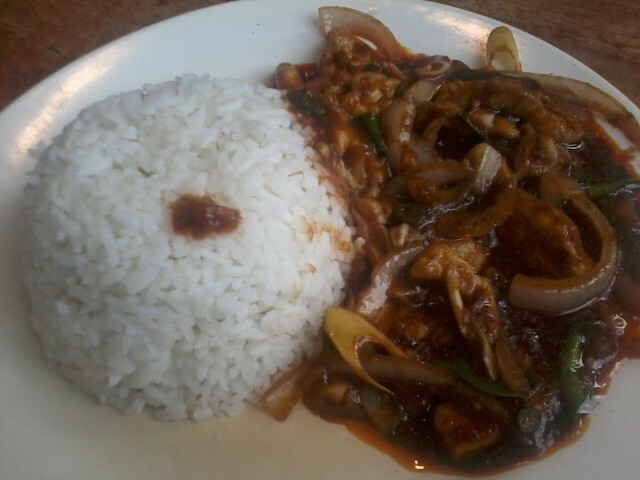 It is probably best to leave the picture as it is though because clearer picture will definitely make you salivate more. I even snapped some pictures of Elsa before her bedtime. 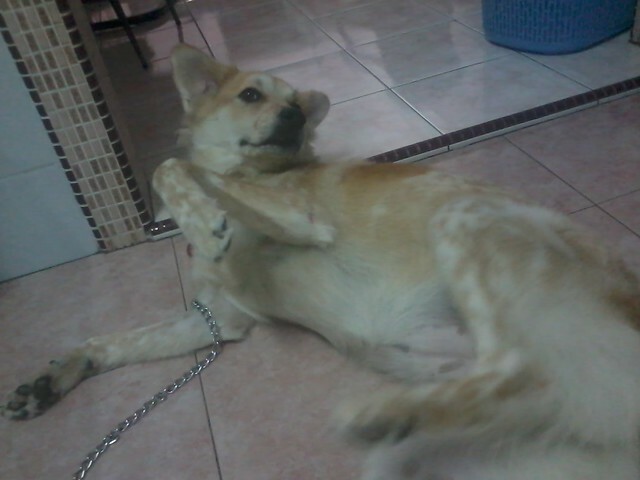 I said 'Pose!' 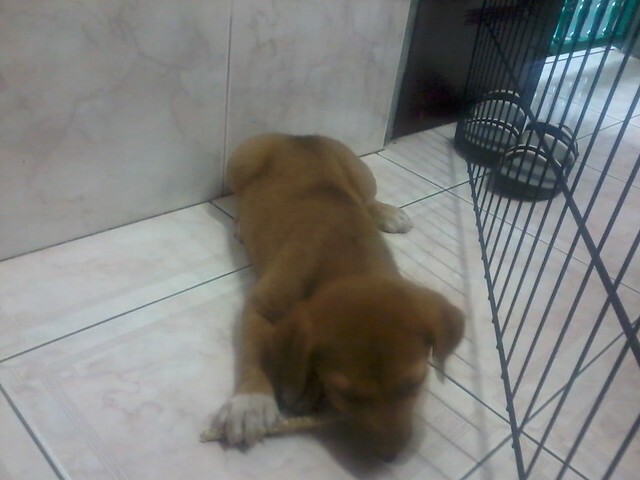 and this was what she gave me. Hahaha!!! 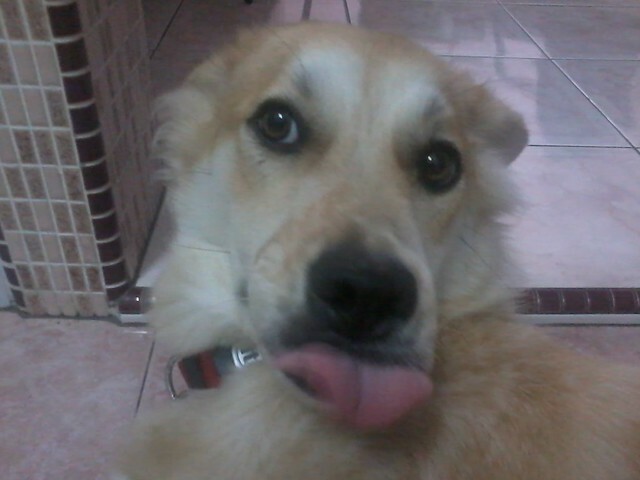 Funny dog! One in a million picture. You can never get another picture like this. My CNY had been a busy one and believe it or not, I brought my laptop back to hometown for nothing because I never did turn it on once! 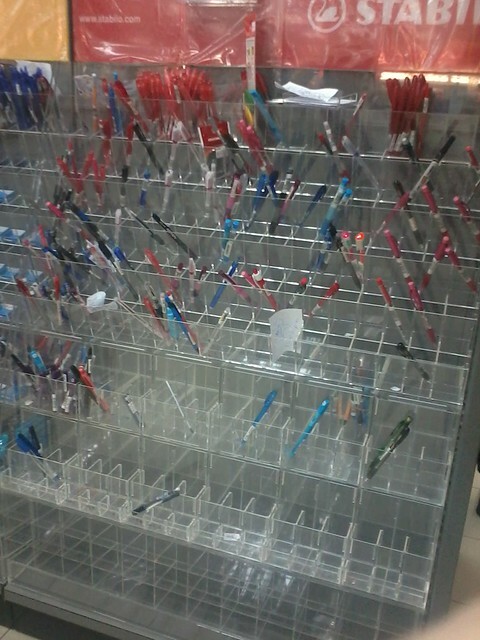 That was how busy I was. I only got myself updated via mobile. Now that I thought about it, I threw the chance away to download more movies. Anyway, I had great appetite during the festive season (I always do when it comes to delicious food!) and gained almost 3kg in 8 days. Check out some of the food I had. I had this for two days in a row at Chop House near my house. I think I can eat this every day. There was one day that we went to Jusco for some book-shopping with the RM200 voucher that I acquired from college and we had lunch at Ding Hao. 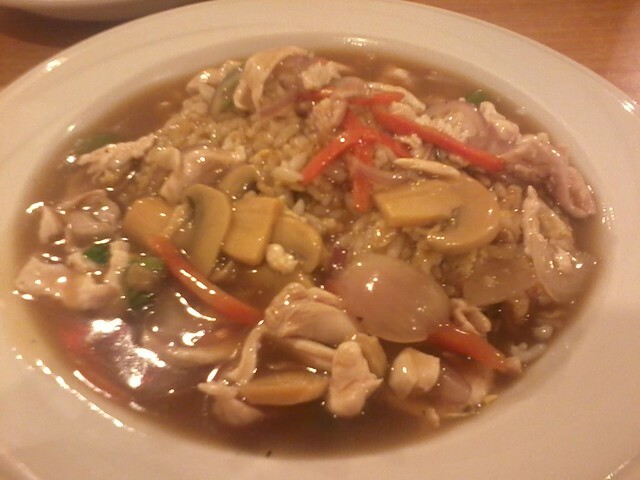 Kam Heong Chicken Rice. Yummy! The lemon grass was bitter though. Never ever bite them on accident. 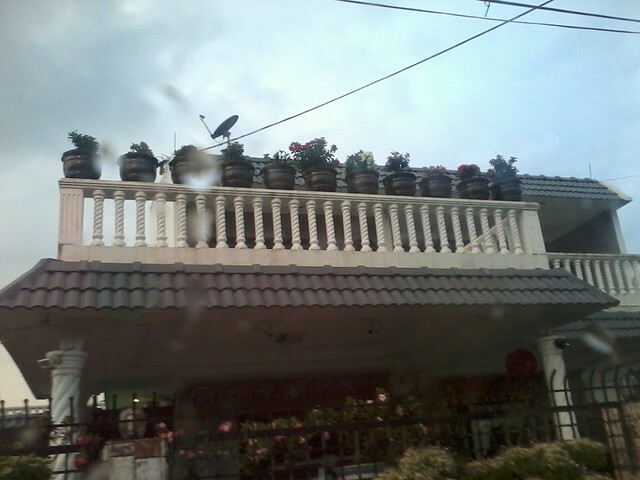 A random picture of a balcony with some pots of plants precariously placed on the railing. They were trying to kill somebody. There is a new pup in the neighbourhood! 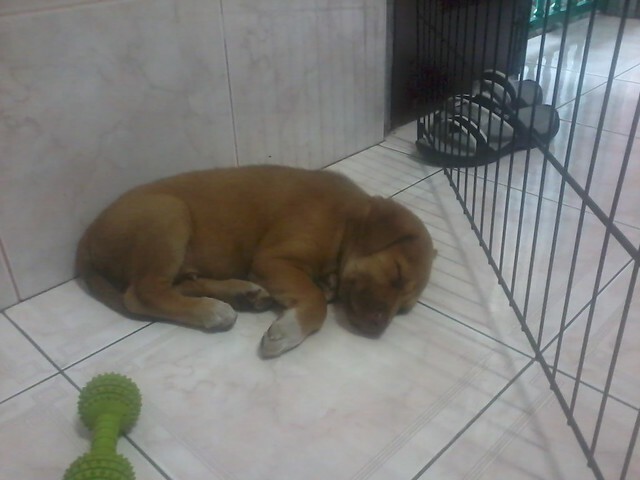 He is the first puppy for the new year and see how cute he is! 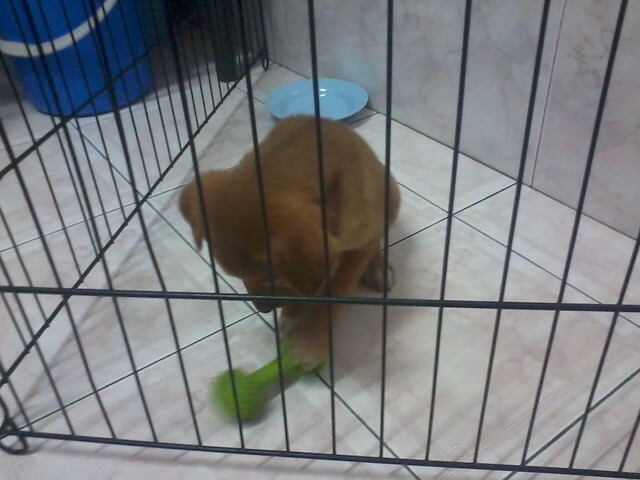 Say hello to Nicky! Snooze time! Here is a video of how long he took to eat a treat. Almost 9 minutes to finish it! Took the Elles to Dr Gilbert on my last day in Ipoh and Elly was especially fierce. No idea why. 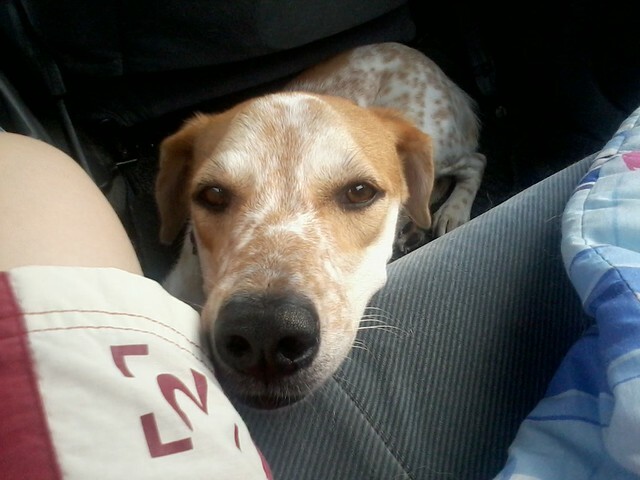 A picture of Elly while on the way back from the vet. Came back to work on yesterday and got the best birthday gift ever. I will work hard! Thank you Lord for the chance to learn something new!